(CBS/AP) Patients who undergo gastric bypass surgery, the most common type of obesity surgery, may increase their odds of becoming an alcoholic, according to a new study. Researchers believe gastric bypass surgery also changes how the body digests and metabolizes alcohol; some people who've had the surgery say they feel alcohol's effects much more quickly after drinking less, compared to before the procedure. The study suggests that may cause problem drinking. For the study, published online June 18 in the Journal of the American Medical Association, researchers asked about 1,950 men and women who had various kinds of obesity surgery at 10 centers nationwide about their drinking habits one year before their operations, versus one and two years afterward. Most didn't drink excessively before or after surgery, and increases in drinking didn't occur until two years post-surgery. More than two-thirds of patients had gastric bypass surgery and were most at risk, the study showed. Two years after the surgery, almost 11 percent, or 103 of 996 bypass patients, had drinking problems, a 50 percent increase from before surgery. By contrast, about 5 percent of patients who had stomach-banding obesity surgery drank excessively two years later, similar to the pre-surgery numbers. Stomach banding is a reversible procedure in which an adjustable band is placed around the stomach to decrease the amount of food it can hold. 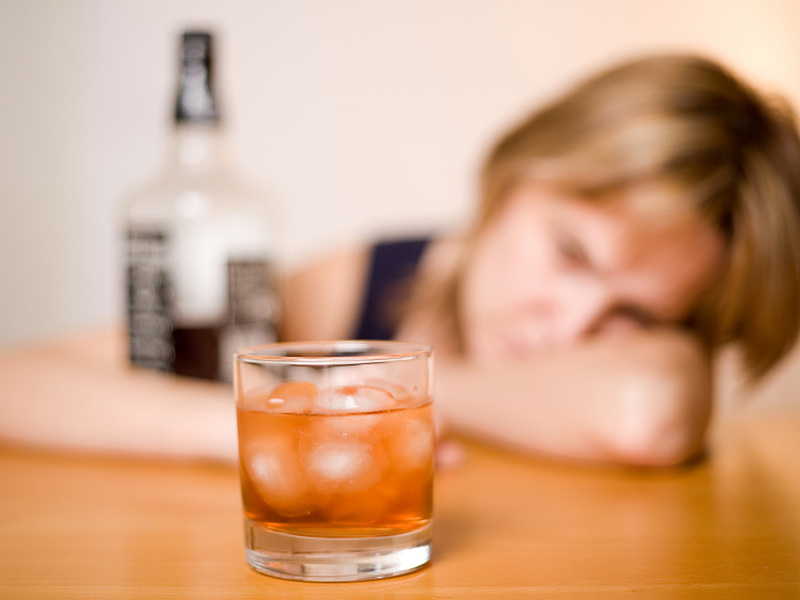 Study results were based on patients' responses on questionnaires about alcohol use. Problems included frequently having at least three drinks or at least six drinks on one occasion; needing to drink in the morning; and forgetting events because of alcohol use. Two years after surgery, these problems were more common in gastric bypass patients, and in men, young adults and smokers after either type of surgery. Too few patients had other types of weight-loss surgery to make strong comparisons. The Centers for Disease Control and Prevention says excessive drinking is associated with chronic diseases such as cirrhosis of the liver, pancreatitis, cancers of the liver, mouth, throat and esophagus - in addition to psychological disorders, and an elevated risk for accidental injuries and violence. Patients should be screened for alcohol problems before and after surgery and told about the risks, said study author Dr. Wendy King, an assistant professor at the University of Pittsburgh's graduate school of public health. Dr. Robin Blackstone, president of the American Society for Metabolic and Bariatric Surgery, said the results echo findings smaller studies and clearly show an alcohol-related risk from gastric bypass surgery. "We in the medical community are going to take that seriously," said Blackstone, an obesity surgeon in Scottsdale, Ariz. The findings are being presented at the medical group's meeting in San Diego this week. Blackstone said obese people are often socially isolated because of their weight, and that drinking often increases when patients have slimmed down and pursue a more active social life. She said many doctors routinely warn patients that they may be more sensitive to alcohol, and the study reinforces that advice. Patients seeking obesity surgery often undergo psychological evaluations to make sure they are stable enough to handle the operation and life changes afterward. Guidelines recommend against the surgery for people with substance abuse problems including excessive drinking, said psychologist Leslie Heinberg, director of behavioral services for Cleveland Clinic's bariatric and metabolic institute. Last year, a Swedish studythat monitored 12,000 patients who underwent gastric bypass over a 25-year period found gastric bypass patients were twice as likely to enter an alcohol treatment program compared with people who underwent other types of weight-loss surgeries such as gastric banding. The Mayo Clinic has more on gastric bypass surgery.